(April 10, 2018) The Stylistics, the legendary group that helped catapult Philly Soul into the R&B stratosphere, is celebrating 50 years together this year, and now they have a new lead singer - Michael Muse - to help continue their legacy. Michael is a veteran vocalist who's made a name for himself in the Washington, DC, area in the go-go music scene as a member of several bands such as First Touch, Little Benny & the Masters, and Rare Essence. While the main attraction in go-go is the rhythm, Michael has stood out among the rest throughout his 30+ year career with his impressive vocals. In fact, he prides himself on being "the first person to make the singing position relevant in a go-go band." As a solo artist, Michael has shown off his sweet falsetto by performing the music he grew up listening to, namely 70's soul classics by The Delfonics, Blue Magic and The Stylistics. With regard to The Stylistics, Michael has admired the group since he was five years old and has referred to the group's original lead singer, Russell Thompkins, Jr., as "the greatest falsetto to ever grace the stage." So now for Michael to sing the songs Russell initially sang and to be welcomed into The Stylistics by original members Airrion Love and Herbert Murrell (and newer member Jason Sharp) is certainly a dream come true. He also views his new role as a blessing. 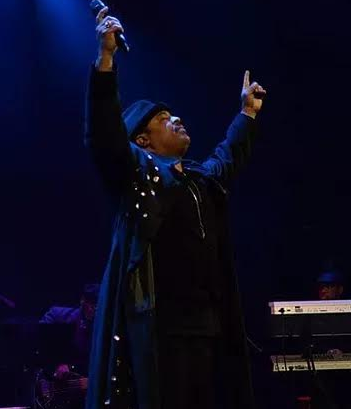 In a solo concert before debuting with The Stylistics, Michael spoke to his audience about his mother's death and his son's unsolved disappearance. Indicating his deep faith, Michael told the crowd he believed that God would balance things out for him by blessing him with something heavy "on the positive side of the scale" since he was dealing with trials so "heavy on the negative side of the scale." Below is a clip of Michael singing in his first concert as a member of The Stylistics in February 2018. Darnea N. Samuels is a Washington, DC-based sports radio producer, news personality, writer, and host of her own radio show, "The Sound of Soul with D'Nicole" on Takoma Radio, where she shares her love of classic R&B/soul music. You can read her blog here and connect with her on Twitter.